This is an old junk drill that's attached to a SBC oil pump down in a bucket. There's a return tube that goes up to the basin this is all sitting under. plug the drill in and the fluid flows. Made a stand to hold material cage material while i set everything else up. What's with the "stolen" stuff? the idea was stolen for the OP or fabricator who came up with it - very common in fab especially among weldors. Stumbled across this site - There are more than just automotive tools on it, Thought I would share. 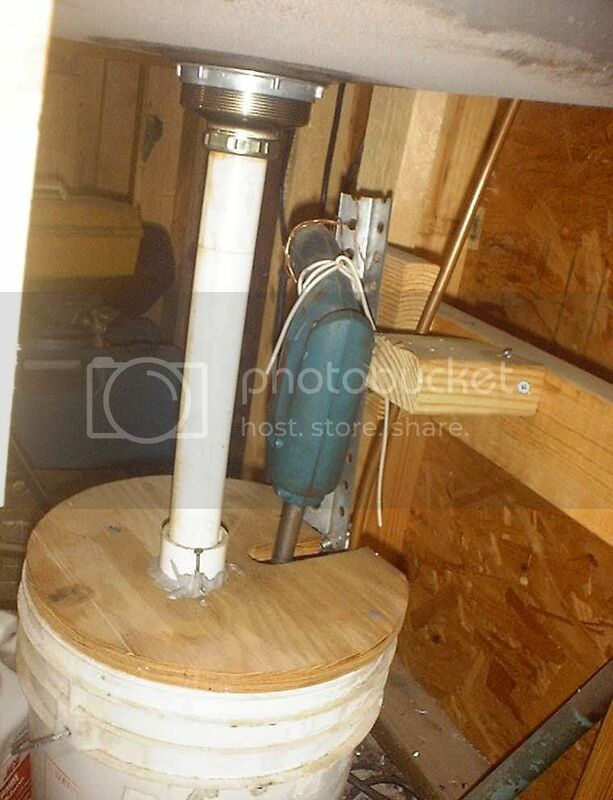 I don't want to detract from DFWMustangs but the mother of all home made tools thread can be found on The HAMB. Good post, I just got a good idea from one of theirs. Good thread, now I know who to hit up when I need tools. I made this valve spring compressor. The frame is 1" square tube, the threaded part is 5/8" - 11 threaded rod. A thrust bearing is mounted on the end of the threaded rod to prevent scoring of the valve face. Total cost was about $25. That's badass Tom!! Good work! I have some new stuf coming up soon, but it won't happen till the next turbo kit arrives..
You cant use a traditional outside springs compressor on the Jaguar IFS setups so I made a copy of the factory tool. This doesn't exactly qualift but I needed a clutch alignment tool last night on the fly. This tubing was a modular metal rack leg from container store that fit snug in the splines. I just had to chamfer the edge to match the pitch of the crank's center. The end of the threaded rod is just ground down to a smalller diameter to fit inside the thrust bearing. The nut under the thrust bearing is just there to provide a decent flat spot for the bearing to ride on. 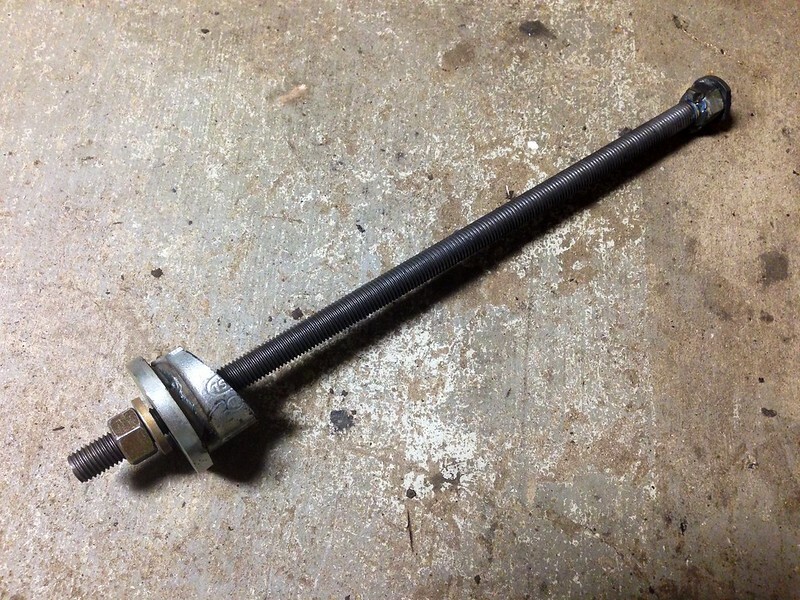 The thrust bearing is attached to the end of the threaded rod with a 1/4" allen head bolt and a washer. The washer has to be ground down to fit inside the thrust bearing. From some of your posts, it appears that your fab skills are much better than mine, so I'm sure you won't have any problems building one of these.